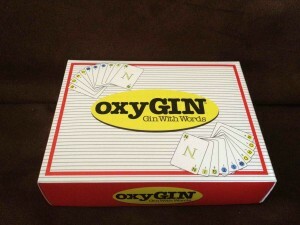 OXYGIN is Gin With Words! Players make words from letters of the same suit, and GIN when they have a hand full of words. A bonus is received for playing the longest word.